Chromasens, a world leader in 2D and 3D color machine vision imaging, has again raised the performance bar with its new allPIXA wave 15K, the world’s first trilinear true color RGB line scan camera with more than 15000 pixels to help manufacturers drive business results and meet quality control goals. 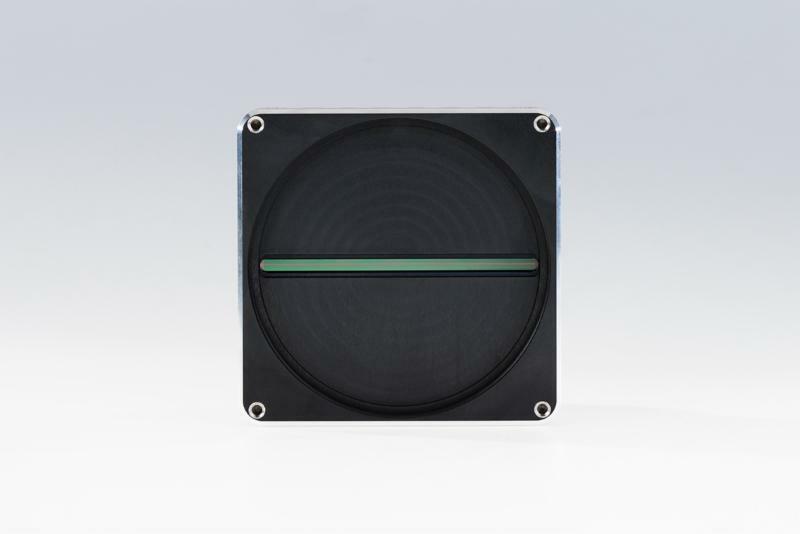 Delivering CCD-level imaging with CMOS efficiencies, the allPIXA wave 15K (part #CP000498-15k) maximizes machine vision systems used in the inspection of flat panel displays, narrow and wide web, textiles, and PCB boards, among many other line scan applications that benefit from its unprecedented speed, sensitivity and resolution. 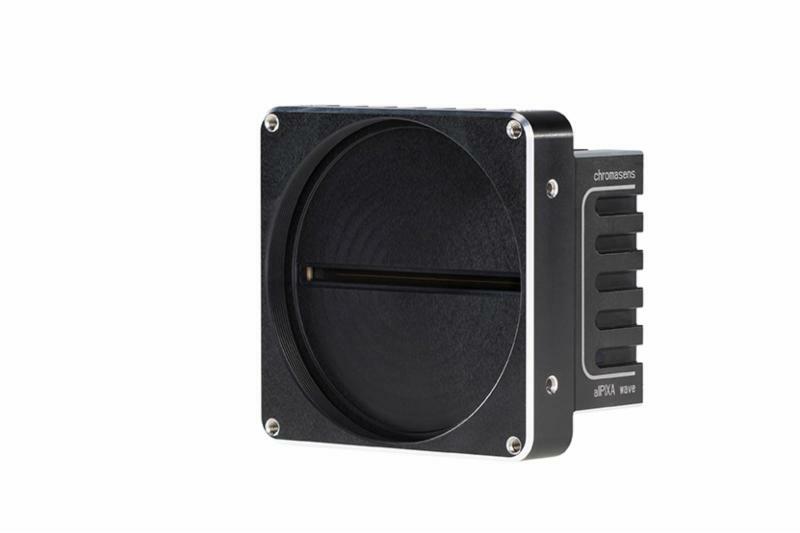 Chromasens allPIXA 15k wave cameras offer the added system flexibility of increased scan line lengths up to 15k x 4 lines, along with line frequencies topping out at a maximum speed of 150kHz at 850 megapixels per second throughput. Internal keystone correction allows for multiple angle positioning of the camera, while a simplified graphical user interface and an integrated test image generator enables easier setup and diagnostic functions. A smaller footprint gives system integrators more choice to resolve a multitude of industrial imaging challenges in tight spaces. Adding to the cameras’ system flexibility is the universal Camera Link interface. Core to the success of the allPIXA wave’s design is unmatched color quality that extends Chromasens’ reputation as the leader in color line scan technology. Features such as multiple color conversion matrix, continuous white balancing and an excellent signal-to-noise ratio empower the cameras to yield ultra-high color resolution up to 15360 pixels x 4 lines with 5.6 μm x 5.6 μm pixel size. And since it offers “true” color, there is virtually no spatial distance between each of the sensor’s three native color (RGB) lines giving highly precise color registration, enhanced edge sharpness and no “halo” image distortion problems. For more information, visit www.chromasens.com. In the United States, call North Coast Technical at 440-729-7540. In Canada, 613-821-4603. Outside the United States and Canada, 339-234-5030. EDITOR NOTE: To download a high-resolution JPEG or TIFF from Dropbox, click on the photo(s) below. Dropbox registration is not necessary. Founded in 2004 as a former division of Siemens AG, Chromasens GmbH designs, develops and produces innovative image capturing and processing systems to satisfy the most stringent of demands. Chromasens’ expertise lies in the development of both components and systems. The optical, electronic and mechanical elements of high-performance cameras and illumination systems are perfectly adapted to suit the specific tasks faced by each individual customer. The company is based in Constance, Germany, and is ISO 9001 certified. Chromasens offers professional advice and support throughout each phase of the project cycle to its direct and project customers who require customized, individual image capturing solutions. The company’s standardized image processing components are distributed worldwide via certified value-added distributors. This entry was posted on Sunday, May 14th, 2017 at 2:07 pm	and is filed under Advertiser, News.